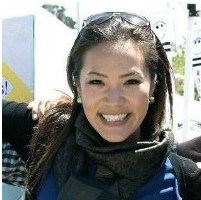 SAN FRANCISCO — The San Francisco Japantown Foundation board of directors elected Aya Ino as a director on Sept. 15. Ino is director of development and communications at the Japanese Cultural and Community Center of Northern California (JCCCNC), overseeing and directing the fund development, marketing, and membership departments of the organization. A native San Franciscan, Ino grew up in the heart of Japantown, attending Nihonmachi Little Friends (NLF) and the Japanese Bilingual Bicultural Program (JBBP), and has performed with San Francisco Taiko Dojo since 1990. In 2011 she served as a founding faculty member of a start-up public high school in Manhattan, writing grants and developing a national standards-based curriculum in government and economics. Ino graduated from UCLA in 2008 and earned her masters in education from Columbia University in 2012. In 2010, the Japantown Foundation awarded her with a matching grant for “What’s Next for J-Town? A Young Adults’ Perspective on San Francisco’s Japantown.” The research project focused on the next generation of young adults and their interests, and was followed by a collective analysis on perspectives of San Francisco’s Japantown. For more information on the foundation, visit http://japantownfoundation.org.